He currently serves as Medical Director of the Pancreas Transplant Program and UNOS designated Transplant Nephrologist for the AHTP. He is a member of various medical associations including American Society of Transplantation and American Society of Nephrology. Dr. Desai sees patients pre and post-transplant to ensure proper healing is taking place. He has completed his Internal Medicine residency at Hurley Medical Center, Michigan State University, where he also served as a Chief Resident and Clinical Instructor. 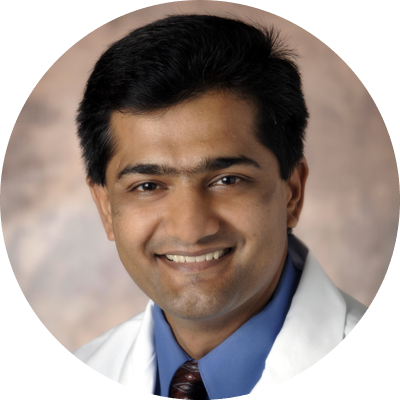 Dr. Desai has completed Nephrology Fellowship at University Hospital of Cleveland, CWRU and an additional year of UNOS approved Transplant Nephrology fellowship from Northwestern University, Chicago, IL. Internal Medicine, Nephrology and Hypertension, specialized in kidney and pancreas transplantation.